Posts, videos, stories, tweets, and the list could go on! These are just some of the ways you can use social media to increase brand visibility. In this article, we want to focus on video marketing, a recent concept that has caught users’ attention. and five ways to use videos in your social media strategy, keep on reading! Never heard of video marketing? Well, it is a marketing strategy that is starting to attract more and more users. The fact that it is simpler to understand a concept from a video than from a written post makes video marketing the perfect tool for business. 80% of consumers believe demonstration videos are helpful when making purchases. Blogging is a thing of the past. Nowadays, users don’t have time to read more, they just want to have more information, fast and easy. This is how vlogging expanded! Influencers use vlogging, brands use vlogging, and regular users use vlogging. It’s an easy way to promote your business, and it is the best strategy for startups. 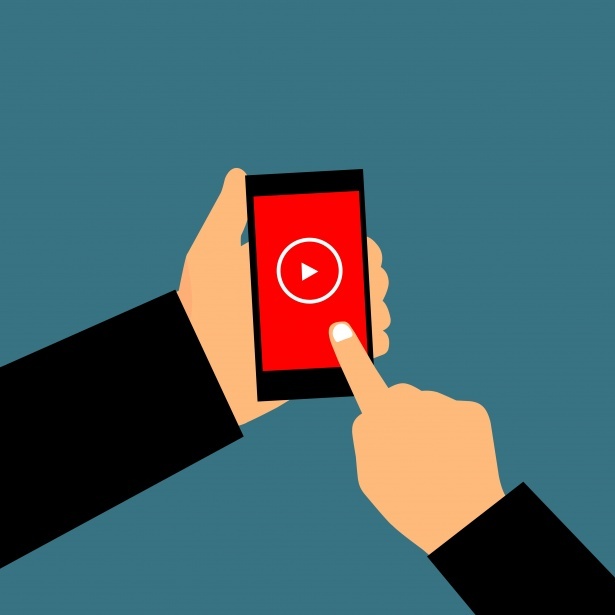 Another type of video you can use in 2019 is live streaming. This is perfect for tech companies that unbox their products and show different features. Also, it can be used by online shops to showcase their new arrivals. You have a travel agency? This is the perfect video marketing trend for your business. Just imagine how well you can sell an all-inclusive package when you show a wonderful landscape in a 360-degree video. These videos can also be used by real-estate developers who want to show apartments without taking lots of pictures. The virtual reality sector is expanding with multiple types of headsets, videos, games, and consoles. Creating VR videos is the way to go in 2019. You can promote different services and even products with the use of this type of video. This is an interesting approach for e-commerce businesses. Instead of sharing a simple photo of the new arrivals on Facebook and Instagram, you could make a video while you unbox that product. If it’s a tech product, it’s even better because you can show some of its features in the same video. More than 60% of people watch unboxing videos to learn more about a product. There is even a special unboxing channel on YouTube where you can find videos of almost any product. Don’t waste money on TV ads because YouTube and Facebook ads are better (and cheaper). Instead of investing in a TV commercial, we recommend creating a small, but entertaining ad and post it on YouTube and Facebook. Always rely on short videos instead of a GIF or a simple picture because users get bored when they watch the same image for 12 seconds while waiting for their original video to start. A great example of a Facebook video Ad done right is the one from Kay Jewelers. Demo videos have been used for quite some time. Since they are the best way to explain how a service or a product works, we still recommend them. They are perfect for those moments when you create a product that is harder to understand. If demo videos are not suited for your product, you can try another type of content to make people understand your product. We already mentioned that vlogging is a video marketing trend you should definitely follow in 2019. However, it is best to spice it up a bit. While most companies give products to influencers who already have a blog, we recommend a monthly vlog where you can show short videos and present the life at the office. It is an interesting way to promote the brand, without trying to sell your products. Users want to get closer to brands, to learn more about their values and opinions, not just to purchase products. If you want to see an example of an amazing vlog made by a company, you should watch Moz’s Vlogs. Great content, engaging visuals, and useful tips. Surely you applied for your current job on a specialized website that presented a boring job description, and you just sent a CV. However, imagine how amazing it would be if you could see the office life before you applied. This is why you could try to create a short but snappy video where you present the job offer, a simple description, and show the office and the future co-workers. People who are looking for a job will see what to expect, and you will have an opportunity to promote your brand. Shopify shows that they are really investing some time with their recruiting video. Video Marketing: a quite recent, but catchy approach. As you can see, it can be used for many types of business, from e-commerce to HR companies. You need to keep in mind three things before you start creating your videos: make it short, catchy, and very hands on.